microsoft | Unity and Ubuntu – Tweaks you must know! This post, This Tool Lets You Use Fedora and Other Distros with Windows Subsystem for Linux, was written by Joey-Elijah Sneddon and first appeared on OMG! Ubuntu!. This entry was posted in bash on windows, Dev, microsoft, WSL on November 20, 2016 by unityadmin. This post, Microsoft Has Joined the Linux Foundation (No, Really! ), was written by Joey-Elijah Sneddon and first appeared on OMG! Ubuntu!. This entry was posted in microsoft, News, windows 10 on November 16, 2016 by unityadmin. This post, This Is The GNOME Web Browser Running on Windows 10 [File Under Crazy], was written by Joey-Elijah Sneddon and first appeared on OMG! Ubuntu!. This entry was posted in epiphany, microsoft, News, windows 10, WSL on November 15, 2016 by unityadmin. Is Microsoft Is Building Yet Another Skype Client? Recent rumours suggest yet another Skype desktop app to help ease the burden of maintaining so many — but is Skype for Life, in fact, already here and running on Linux? This post, Is Microsoft Is Building Yet Another Skype Client?, was written by Joey-Elijah Sneddon and first appeared on OMG! Ubuntu!. This entry was posted in Editorial, microsoft, News, skype on September 21, 2016 by unityadmin. It seems that Microsoft Signature Edition PCs prevent you from installing Linux, with a Lenovo rep saying this is “per our agreement with Microsoft”. This post, You Can’t Install Linux on a Microsoft Signature Edition Laptop (Updated), was written by Joey-Elijah Sneddon and first appeared on OMG! Ubuntu!. This entry was posted in Hardware, lenovo, linux, microsoft, News on September 21, 2016 by unityadmin. A couple of weeks since the last update, a new version of Skype for Linux Alpha is available to download. We take a look at what’s new. This post, Skype for Linux 1.6 Now Available, Still Can’t Make Video Calls, was written by Joey-Elijah Sneddon and first appeared on OMG! Ubuntu!. This entry was posted in microsoft, News, skype on September 2, 2016 by unityadmin. If you plan on installing the Windows 10 Anniversary update on your PC you may want to be extra careful. This post, Some Users Say Windows 10 Anniversary Update Borked Their Partitions, was written by Joey-Elijah Sneddon and first appeared on OMG! Ubuntu!. This entry was posted in microsoft, News, windows 10 on August 3, 2016 by unityadmin. A brand-new Skype for Linux client has been announced — and you can try it today. This post, Skype Announce Brand New Linux Client, Now In Alpha, was written by Joey-Elijah Sneddon and first appeared on OMG! Ubuntu!. This entry was posted in Download, electron, microsoft, skype on July 13, 2016 by unityadmin. This is the Ubuntu Unity desktop running on Windows 10 natively, without a virtual machine. This post, This Is the Unity Desktop Running On Windows 10, was written by Joey-Elijah Sneddon and first appeared on OMG! Ubuntu!. This entry was posted in Dev, microsoft, News, windows 10 on July 10, 2016 by unityadmin. Thousands of free Linux CDs are to be distributed to citizens of a German city in spring of next year. Munich City Council plan to make Ubuntu discs available as a ‘replacement for Windows XP’ – Microsoft’s 11-year old operating system for which support officially ends in April of next year. The proactive effort is been billed as an attempt to ‘prevent electronic waste’ from discarded computers that, whilst still serviceable with an alternative OS, would fail to meet the requirements of Windows 7 or Windows 8. It’s estimated that some 20 million German PC users are still running Windows XP. 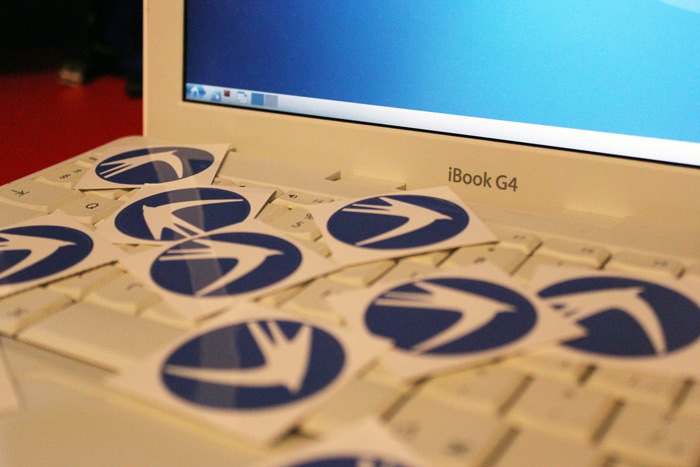 The council’s proposal1, which has already been tentatively accepted, will see 2000 Lubuntu CDs handed out at special eventsduring the early part of next year. These events will seek to educate those using Windows XP as to their options once official support ends, and highlight a ‘proven and reliable’ free, Linux-based solution for those who don’t fancy the expense of upgrading their machines. Secondly, the hardware requirements are lower than those needed by other Linux distributions, such as regular, Unity-toting Ubuntu. Lubuntu is able to run comfortably on as little as 256MB of RAM. Munich City Council are no stranger to progressive IT thinking. In 2003 the city instigated a (controversial) migration from Windows XP to a custom Linux distribution called Limux2 on over 13,000 local government PCs and laptops. The most recent release of Limux is based on Ubuntu 12.04 LTS. The next step for Munich City Council and its Mayor is to find a way of meeting the quoted €4000 cost of printing discs and literature through outside means, such as a running promotions with local businesses. The post German City Hopes to Wean Citizens Off Windows XP With Free Linux CDs appeared first on OMG! Ubuntu!. This entry was posted in Lubuntu, microsoft, News on June 24, 2013 by unityadmin.